1. Tell us your name, where you’re from, how long you’ve been natural and a little bit about yourself! – Hey!!!! My name is Alyssa, but everyone calls me Lyssa or Lyssa Lou. I’m originally from Reno, Nevada but I currently reside in Birmingham, Alabama. I’ve been natural for about 3 years. After saying for years, that I’d never go natural because it just didn’t fit my lifestyle, I started transitioning in June of 2011 and decided to chop it all off February of 2012. There was no real reason why I went natural other than I was just tired of flat ironing my hair ALL the time. I can easily say that it was the BEST hair decision I’ve made in my life (and I’ve made quite a few of hair decisions lol). 2. 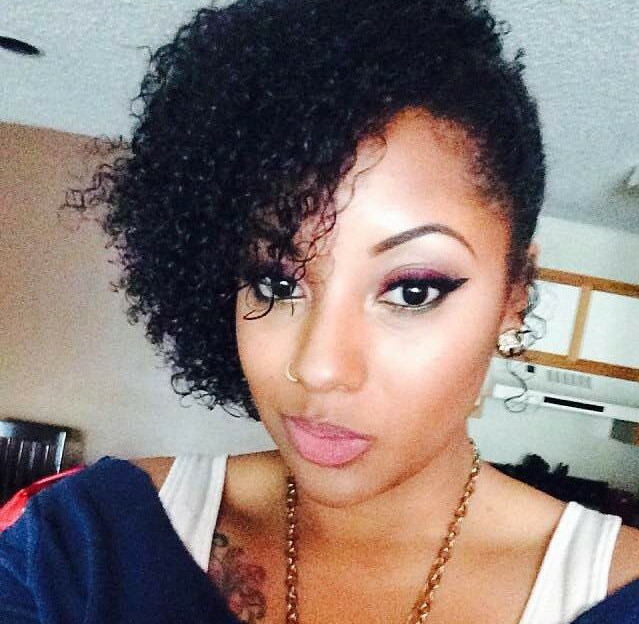 What is your go-to natural hair style? 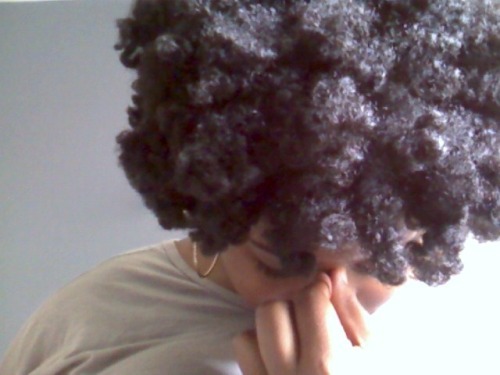 – My go-to natural style is typically a wash n go or you know what they say…when in doubt…PUFF it out!! 3. 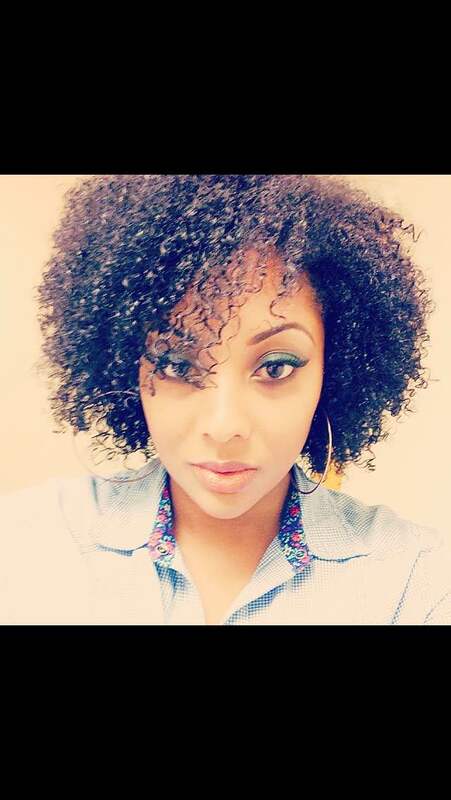 List 3 to 5 of your go-to or staple products for your natural hair? – When I started on my natural hair journey, like most newbies, I became an absolute product junkie. I had a big big problem but thankfully before I could cause my pockets too much damage, I quickly found some things that my hair just LOVES. My go to products are: Cantu Shea Butter Coconut Curling Cream, Whipped Shea Butter (a concoction that I put together myself), an oil blend of Jamaican Black Castor Oil, Peppermint Oil, Avocado oil, and Olive Oil, Shea Moistures’ Jamaican black castor oil leave in and deep conditioning masque and finally apple cinder vinegar (for cleansing of course). 4. 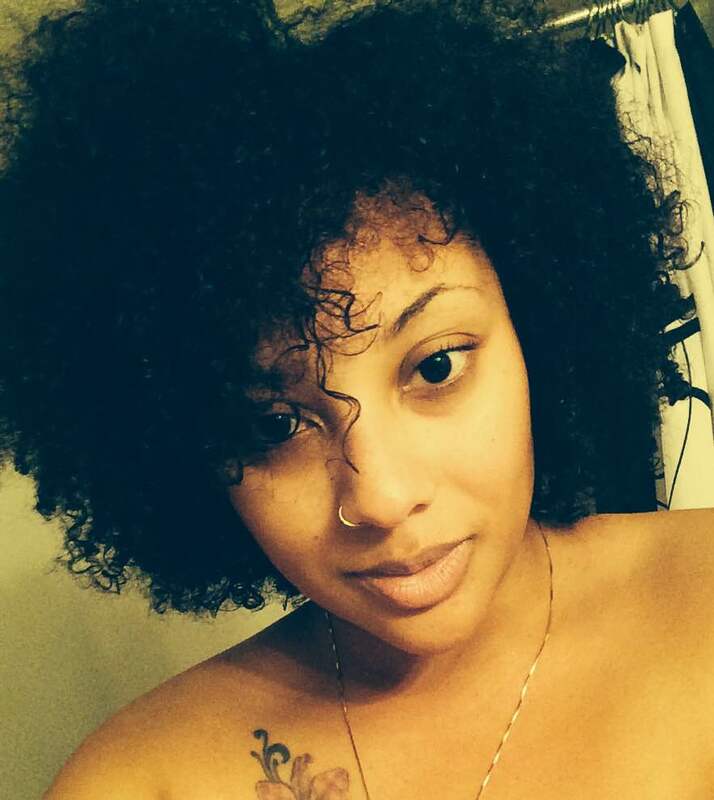 What do you like/love most about being natural? – The thing I love most about being natural is the versatility. I have options with my hair now that I just didn’t have when I was relaxed. Second to that, I get away with stuff as a natural that I NEVER would have when I was relaxed. 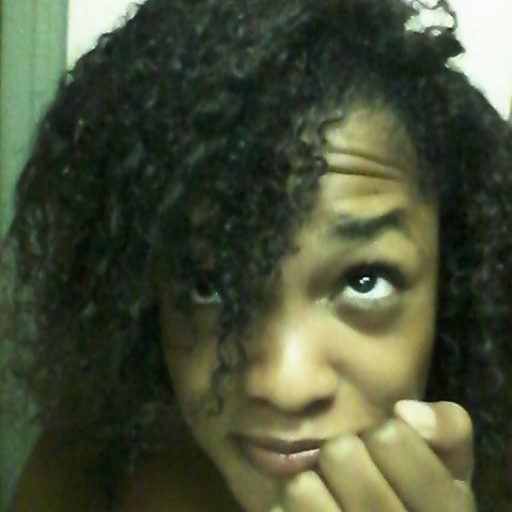 When your hair is natural, sometimes the crazier the better and your hair is never really “out of place”. 5. How do you maintain your curls at night? 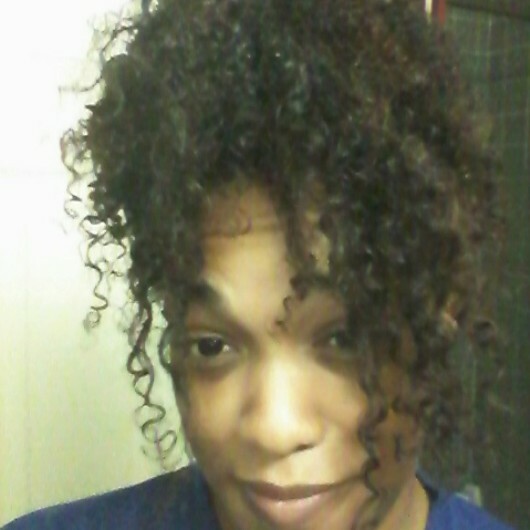 – I’m pretty low maintenance when it comes to my hair aka lazy lol, so maintaining my curls is really as simple as throwing on a bonnet, spritzing in the morning and shaking it out, but other than that, I just twist it up for the night. 6. Have you ever big chopped or transitioned? If so, briefly tell us your experience! 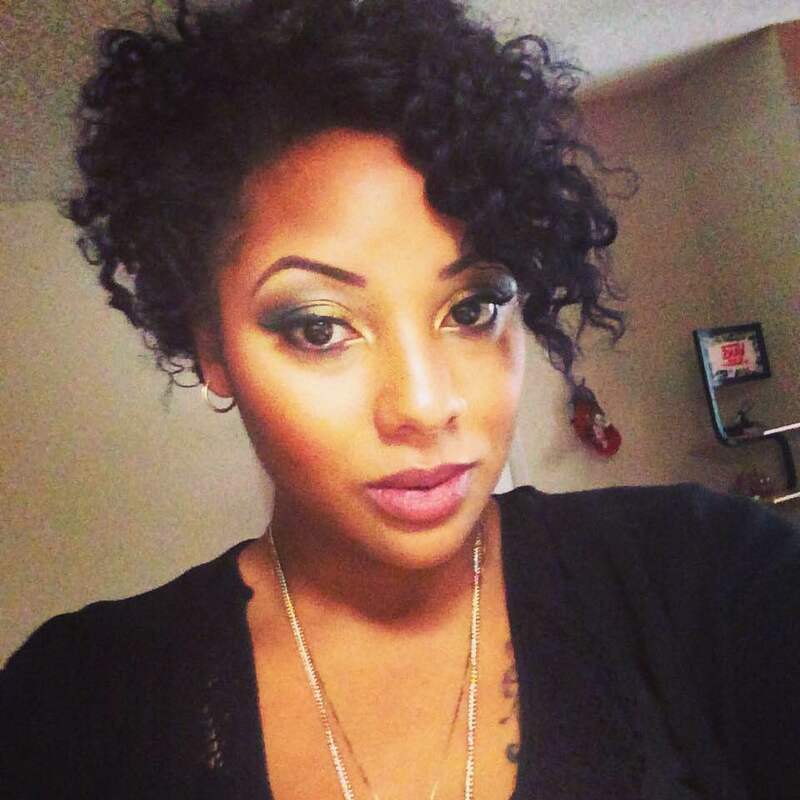 – I transitioned for about 6 months before I just couldn’t take my raggedy relaxed ends ANYMORE!!! Plus, I found transitioning really hard. 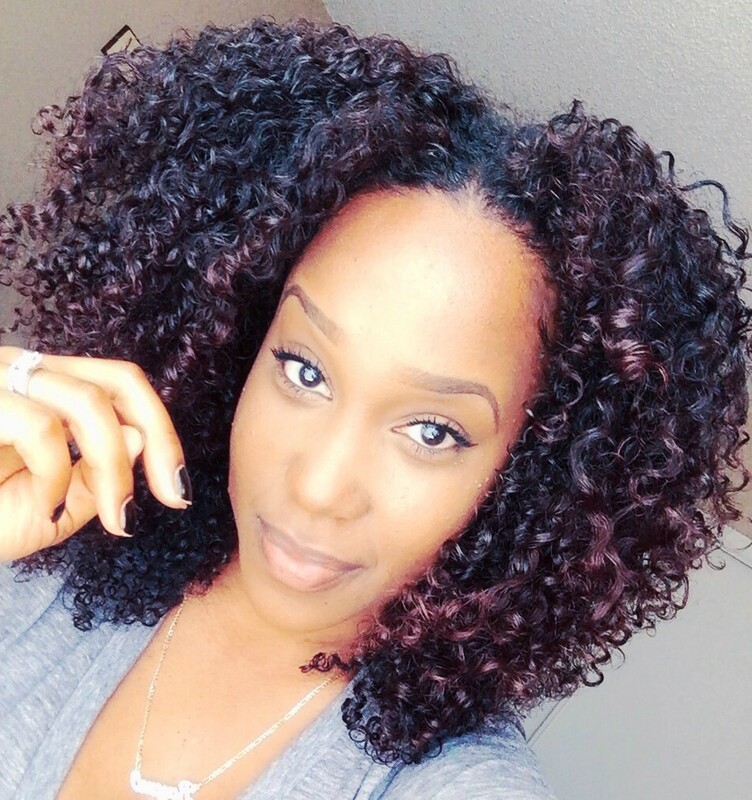 When you become a natural, you’re trying to find products that work with your hair and having two different textures, with different needs made that extremely difficult. I’d find a product that worked on my roots but my ends HATED…so finally I decided enough was enough and I chopped it OFF. 7. Do your family/friends support your natural hair journey? How about where you work? – Most of my friends are natural and my family loves my hair. The people at my job are fans of my hair as well. My boss finds it amusing that my hair never looks the same for more than two weeks at a time haha. 8. Do you know your hair type? If so what is it? 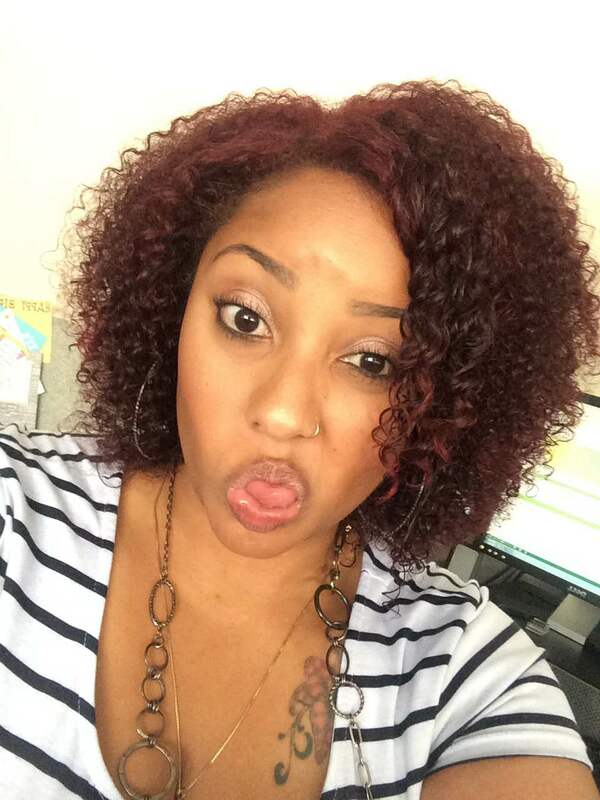 – My curls fall 3c and a 4b….mostly 3c and 4a though…4b in my stubborn crown area haha. 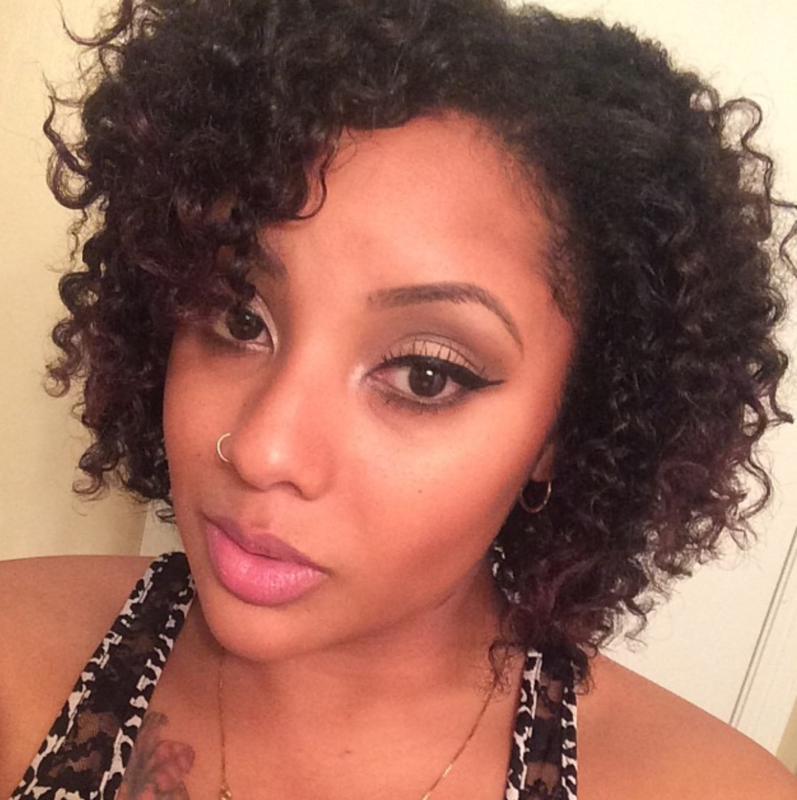 – Low manipulation and protective styling keeps my curls the happiest. The less I mess with it, usually the better it looks which works great for me because like I said, I can get a little lazy when it comes to my hair. 10. What is one thing you have learned since being natural? What advice would you give a new natural? – One thing that I learned when I became a natural is that it definitely ain’t easy. I thought I’d get to wet it and forget it but boy was I wrong. Having natural hair is more work than having a relaxer ever was; although it fits my lifestyle better (with working out 4 days a week and sweating buckets, I kept a flat iron to my head). Having natural hair isn’t for everybody. If you don’t have the time and willingness to experiment and learn the dos and don’ts then you’re doing yourself and your hair a disservice by being natural. You have to find what works for you and that could mean a lot of product trying and failing and patience. Make this decision because you want it, not because its trendy or anything like that. 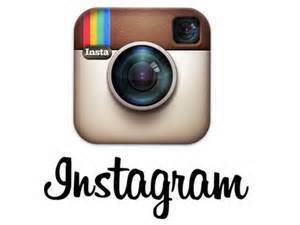 – I’m Chevon Cleveland, a Jersey girl living in south Jersey originally from Elizabeth, NJ. 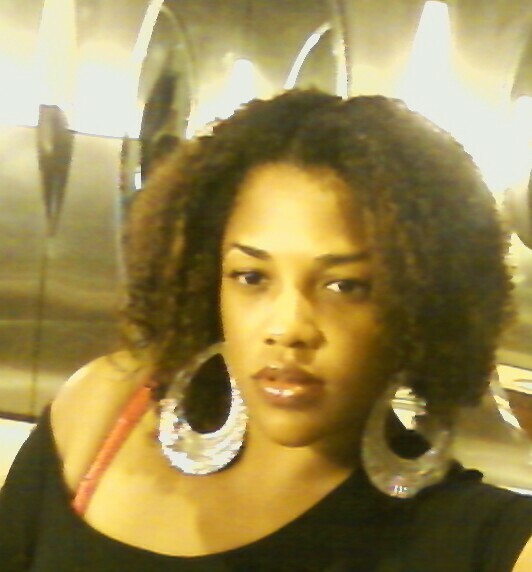 I’ve been natural since 2006. I’m a mom, a risk and compliance officer, a friend and a lover of life. 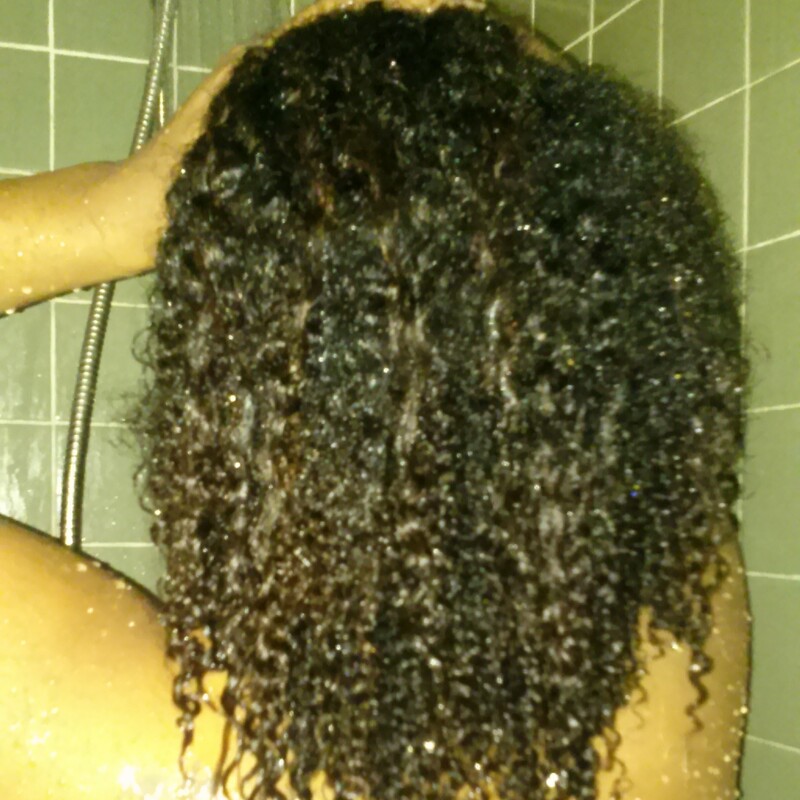 – My go natural style is wet and wild! 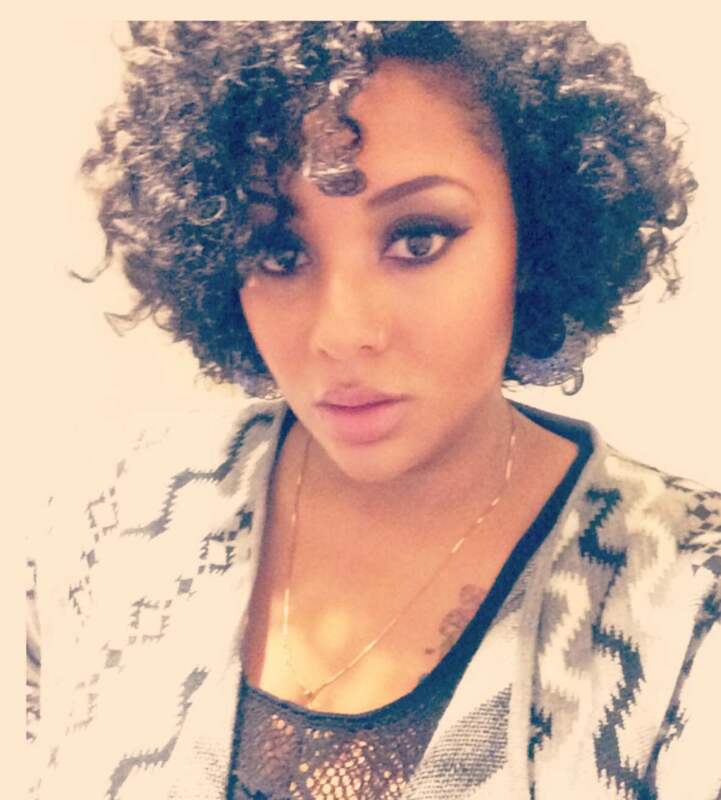 Just my wash and go OR when its time for a wash, the huge top not piled on top of my head is always a crowd pleaser. – I’m all about saving a coin. When I’m tight on funds, I use African Pride hair mayonnaise. 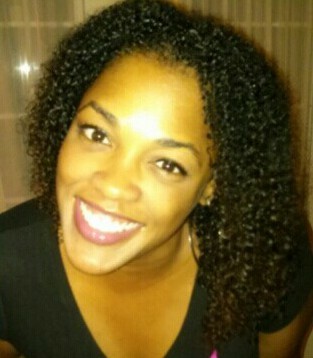 For the most part, I use Curls Unleashed and all of the Shea Moisture hair care products. I swear by Shea Moisture. More recently, I’ve been going straight to the kitchen cabinet and using extra virgin olive oil as a deep conditioner for a few hours while doing house work. 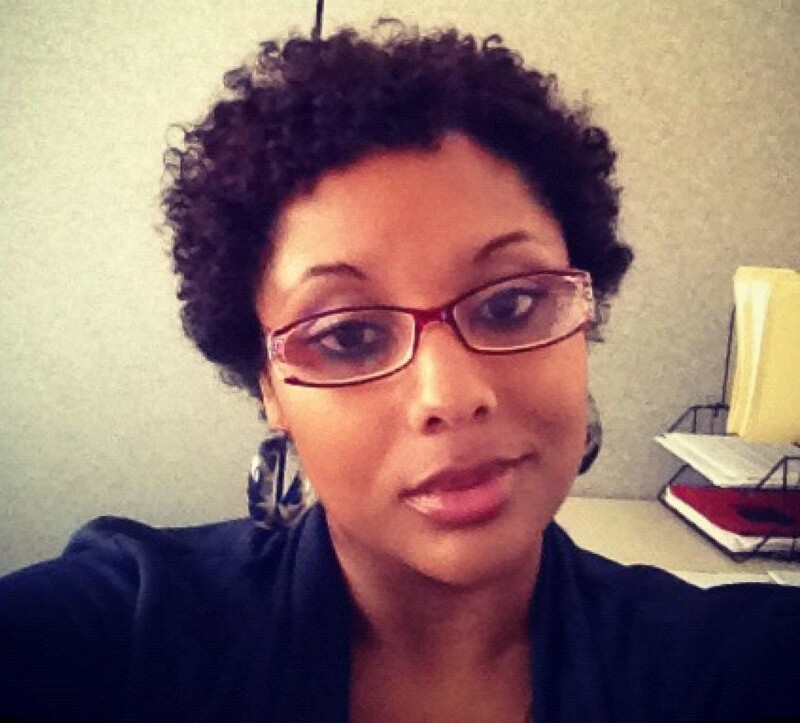 – I love being natural because its so versatile! Being a curly girl is like being 2 women in one! When you straighten your hair it’s like a whole other personality! – At night, I use the Shea Moisture milk, pinneapple all my curls and rock the satin bonnet. – I transitioned. Took me about a year. Fortunately, I wasn’t a big fan of perms so I only got them once or twice a year. So, when it was time for a trim I simply asked for a little more to be taken off each time. Didnt take me long at all. – Everyone I encounter loves my natural hair. I get stopped alot and asked what I use on my hair and how i keep it moisturized. I’ve never had a problem at work either. Alot of other natural girls have asked for tips because they were scared to wear their natural hair for corporate america. 8. Do you know your hair type? If so, what is it? – I’ve never been a girl to put a type to my hair. I have one patch of hair that seems to have gone rogue and is more of a loose wave than a springy curl like the rest of my hair. So, i just let it be wild and do what it does. It’s too difficult to put a type to 2 different types of hair on the same head. – Deep conditioning and getting my ends trimmed every 3months keeps my curls VERY happy. Without that I cant do anything with it. 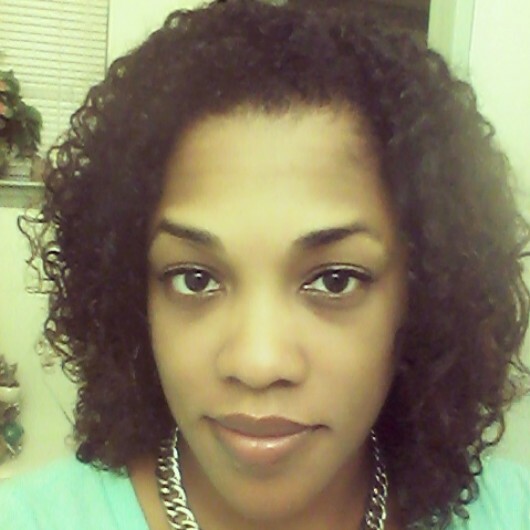 Thanks Chevon for sharing your story with us and showcasing your beautiful face and curls!! I wish you the best on your hair journey!